I think we have to keep in mind that we’ve essentially got rookie coaches all around: Leslie Frazier is in his first full year as a head coach; Bill Musgrave is in his first year as an offensive coordinator; and Fred Pagac is in his first year as a defensive coordinator. The Vikings showed a lack of discipline during key moments of the game, namely Cedric Griffin‘s unsportsmanlike conduct penalty on the Chargers’ game-winning drive and LeTroy Guion‘s and Fred Evans‘ encroachment penalties that ensured the Vikings offense would not get the ball back for one more try. I think the players lacking discipline is on the head coach; Frazier’s got to make it crystal clear to his athletes that they can’t shoot themselves in the foot that way. On offense, the Vikings did a fairly good job of running the ball in the first half but failed to adjust to what the Chargers were doing to them in the second half. 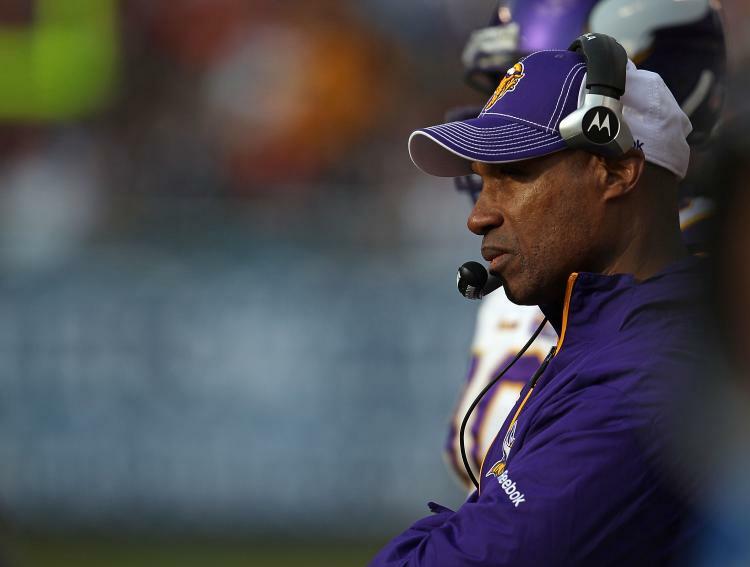 Numerous Vikings players complained that the play calling became predictable in the second half. Where, by the way, were the tight ends? Kyle Rudolph was overthrown once and Visanthe Shiancoe was underthrown once (but it looked like he should’ve caught that one). We had four tight ends active for the game yet we really failed to utilize them all that much. Was Shiancoe really 100%? Finally, the back-to-back wild cat (excuse me, Blazer) plays with Joe Webb taking the snaps were an odd choice of plays. The Vikings say they used those plays because they were in favorable field position if the plays didn’t work out. That’s fine, but back-to-back wild cat plays? Isn’t much of the reason you run a wild cat play is to take the defense by surprise? What surprise is there, then, if you run the same formation and personnel immediately after the defense has just stopped the previous play from the same package? It was much the same story on defense. Though the Vikings defense did a great job overall of keeping the Chargers explosive offense to only 24 points, Fred Pagac did fail to adjust to the changes the Chargers came out with in the second half, particularly those plays to the running backs in the flat and the great job the Chargers did of pick up the blitz. The only squad that excelled the whole game was special teams and that unit is run by Mike Priefer, who has been a special teams coordinator before. We expect rookie players to make mistakes and have to learn on the job, so we really shouldn’t have different expectations from rookie coaches. The fact that this game wasn’t the blowout many expected it would be should be encouraging for Vikings fans. The mistakes we made are things that can be fixed and it is way too early to tell whether our coaches can’t learn on the job; I saw enough positives on Sunday to be encouraged.